When will be The Littles next episode air date? Is The Littles renewed or cancelled? Where to countdown The Littles air dates? Is The Littles worth watching? This is DIC's first animated show (with the second being Inspector Gadget) and it first premiered in September of 1983 on ABC. 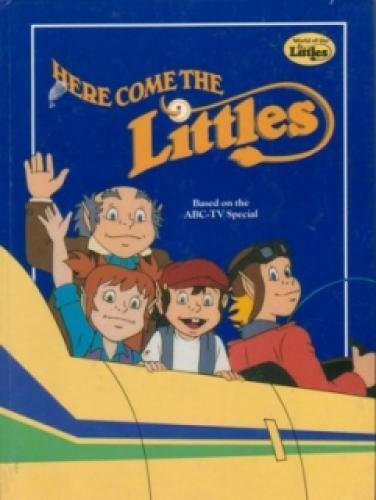 The Littles is loosely based on The Borrowers from a creative author named John Peterson. This series focuses on one particular family of Littles - Grandpa, Mom and Dad, Dinky, and the two youngest: Tom and Lucy. In their quest to become productive adults, the Littles and their 12-year old huge friend Henry face the same kinds of problems that young children face every day - issues of friendship, jealousy, honesty, prejudice, consideration for others, kindness, responsibility, risk-taking ... and more. Each episode of the Littles focuses on one such issue, presenting it in explicit, concrete terms. And young, attractive characters with whom children can identify carry out these actions, they serve as excellent role models for young viewers. Younger and older children, boys and girls, loners and social butterflies...all can find a character with whom to identify and from whom to learn. And last but far from least, the character of Grandpa, a wise, experienced, older Little who clearly loves and cares for the Little kids, functions as the kind of non-threatening, non-didactic teacher to whom children respond. He frequently articulates the lesson inherent in the action as he interacts with and advises the Little children. He is the best kind of teacher. The exciting adventures of the Littles and the suspense generated by their frequent narrow escapes from Dr Hunter are designed to capture and hold young viewers' attention. The explicitness with which each lesson is articulated and role models with whom children can identify are designed to ensure that children note and understand the embedded pro-social content as they derive delight from the action. Henry: "I have a very special secret, i'm the only one who knows about tiny people living in our walls called The Littles". Grandpa: Wait a second, Dinky Little! Dinky: No time, Grandpa Little! Mr. Little: Come home kids! there living with ya don't ya know? the littles fell inside his suitcase. He laid it down just half-ways. When he opened his luggage and the littles jumped out. They've been the best friends ever since. He's kept in secret there existence. Inside the walls they've always been. You cant stop the littles cause the littles dont stop! Here come the littles so you better watch out. were living with you dont ya know? we keep a secret from the outside. you can't stop the littles cause the littles don't stop. The show is based on a series of books written by John Peterson. EpisoDate.com is your TV show guide to Countdown The Littles Episode Air Dates and to stay in touch with The Littles next episode Air Date and your others favorite TV Shows. Add the shows you like to a "Watchlist" and let the site take it from there.